This beautiful red knit dress is made by Sarah Louise, a top British designer of beautiful baby garments. 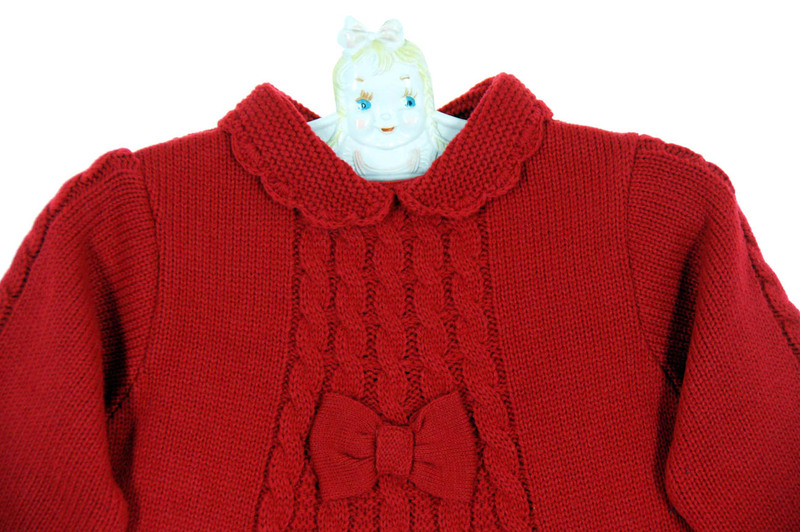 Made of warm acrylic, it features a cable design with a knit bow accent on the bodice. 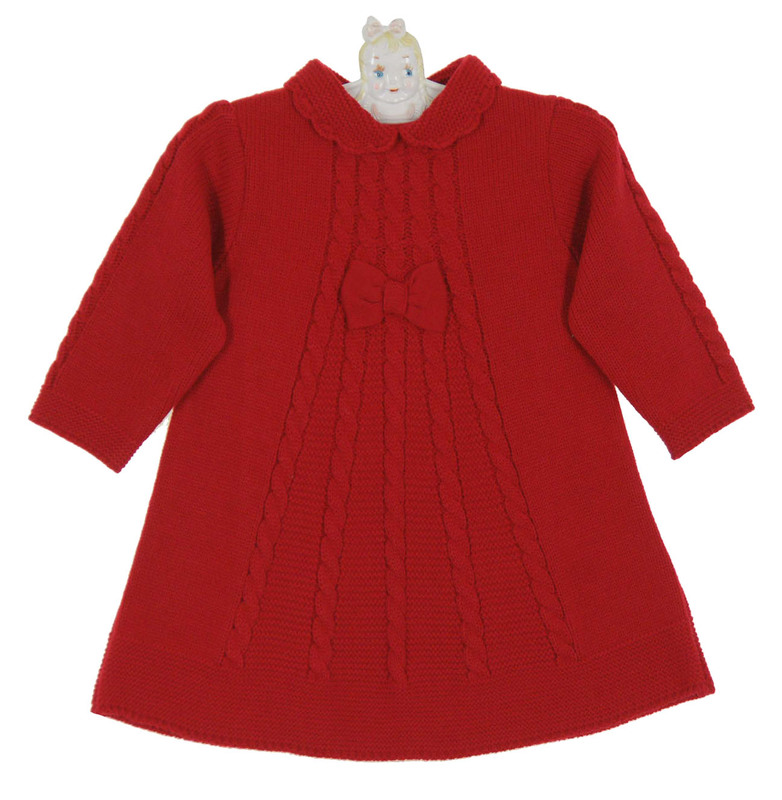 This lovely dress has a scalloped knit collar with a back buttoned closure. Lovely for your baby or toddler girl for Christmas, Valentine's Day, portraits or parties!